Tech News How To Download Instagram Profile Pic In Full Size On Android / iPhone? Hello Friends, Instagram is emerging as a great social media on which people share their best photos. Instagram gives you the chance to edit and beautify your photos and this is the reason that it is being used quite a lot nowadays. With this, you can also upload videos to Instagram and chat like Facebook and Whatsapp. It's a wonderful world with over 500 million active users daily. However, one thing that seems bad to me about Instagram is that it does not allow its user to see someone's profile picture in full size and even download it. 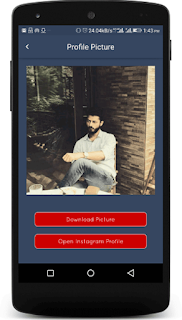 Instagram also offers the option to type and comment on your photo, in which people keep searching for various types of Instagram tricks on the internet and one of the same ones that I am going to tell you all today is that Instagram profile photo You can download in full size like. 1) First, go to Google Play Store and download Profy - Instagram Profile Picture Downloader from this app. The link for your convenience has been given below which you can download from the Directly Play Store. 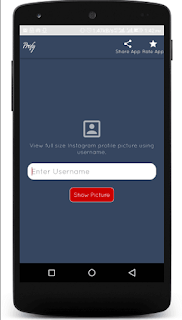 2) Now copy the user's username to any user you want to view or download in the Instagram profile picture full size. 3) After receiving the username, now open Profy - Instagram Profile Picture Downloader app, you will find an input box to enter the Instagram username. Paste the username here and tap on Show Picture. 4) Now you can see and zoom the user's profile photo in a few seconds. 5) To download the profile picture, click the "Download Picture" button below the photo and it will download the picture in your gallery. Visit the Apple App Store or download the Qeek app for Instagram from the bottom right corner. Open the app and type the Instagram username for any user you want to download the profile pickup. Now tap on profile photo to create it on fullscreen. You will find a profile picture in high resolution that can zoom up to 500%. However, this app does not allow you to download photos but you can take screenshots of photos of full size. 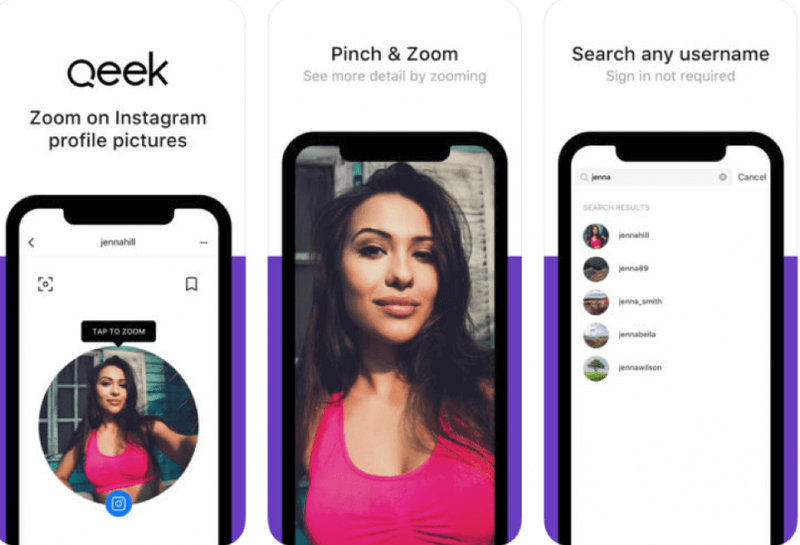 In the end, all of you would like to say that use this simple Instagram Tricks to view, zoom and download a full-sized profile picture of any Instagram user. So hopefully you would have liked all these fantastic tricks. If you like the post, share it on social media so that our mobiles will grow and keep writing good tricks for everyone. Thank you.